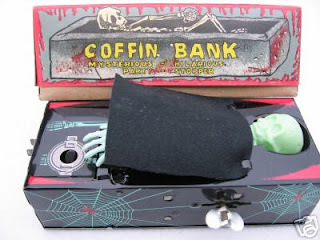 Apprehensive Films Blog, The Ultimate Cult, Horror, Indie and Grindhouse Label: More Funds to Ad to the Coffin Bank!! All right, we’re moving along. Apprehensive Films received another contribution in the mail last night for our Indie Go Go Campaign!! Big thanks to James Simonelli for that one. More funds to put in the Coffin Bank! Check out our Indie Go Go fundraiser for our upcoming short film "And The Blood Drains Down".